Y. Nishikawa, S. Kawahito, T. Inoue, " Parallel image compression circuits for high-speed cameras", Proc. SPIE Proc. Electronic Imaging, vol.5671, no.14, Jan. 2005. Y. Nishikawa, S. Kawahito, "A parallel image compression system for high-speed cameras", Proc. IEEE Int. Workshop on Imaging System and Techniques, pp.53-57, May. 2005. 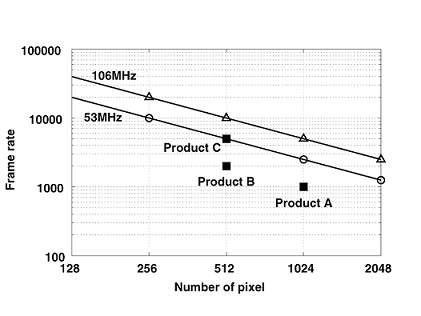 Yukinari Nishikawa, Shoji Kawahito, Masanori Furuta, Toshihiro Tamura, "Design of Parallel Image Compression Circuits for High-Speed CMOS Image Sensors", The Journal of the Institute of Image Information and Television Engineers, vol.61, no.3, pp.369-377, Mar. 2007.